National Honeybee Day is Aug. 19. Bees are incredible creatures on which our food system depends, so let's hear it for the BEES! Did you know that in order to produce 1 pound of honey, a hive of bees must fly 55,000 miles, visiting 2 million flowers. 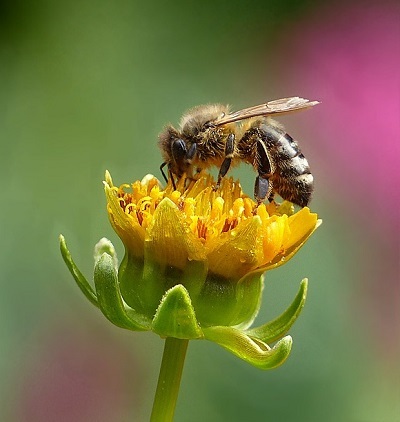 One bee colony can produce 60 to 100 pounds of honey per year, and a single average worker bee makes only about 1/12 teaspoon of honey in its lifetime. You can read more bee facts here.